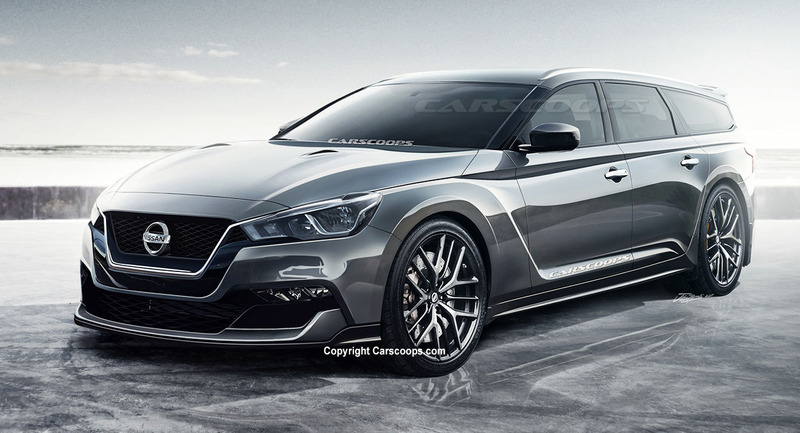 Home › Uncategories › Can A New Nissan Stagea Answer Our Skyline Wagon Prayers? Can A New Nissan Stagea Answer Our Skyline Wagon Prayers? For many petrolheads, there’s nothing more enticing than a high-performance wagon. Sadly these days, the offerings are fairly limited unless you want something German and very expensive. Nonetheless, one wagon that has always caught our attention is the Japanese-market Nissan Stagea. Produced between 1996 and 2007, it was a Skyline-based and -infused, turbocharged V6 powerhouse with immense cult status. So what could a modern day Stagea look like? Let’s envisage further. 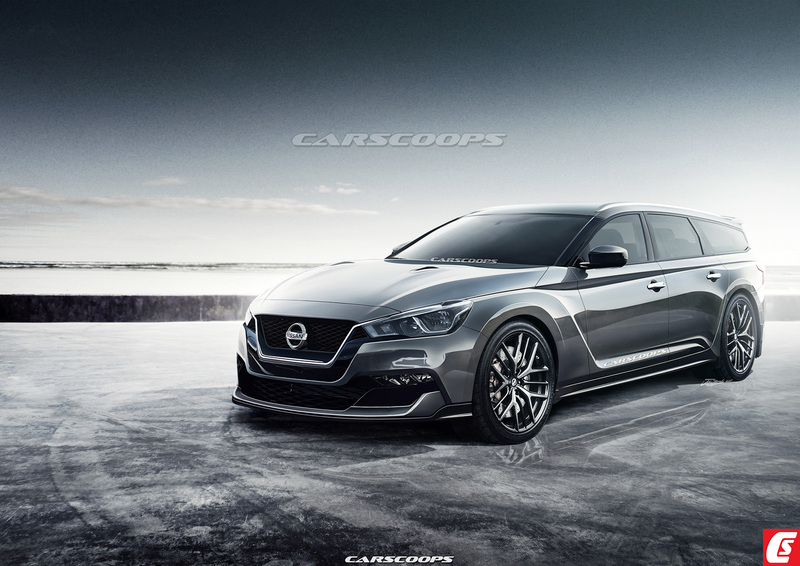 This study adopts Nissan’s current styling philosophy incorporating a dominant V-shaped grille, wedge headlamps and sheetmetal surfacing inspired by the upcoming new Altima. The front fenders, hood and a-pillars are a deliberate ploy to visually link it with the current GT-R, somewhat appropriate since the two nameplates have shared mechanicals in the past. Like the original Stagea, it has shorter than usual rear doors and long side glass. Lower door scollops flick down towards the rear wheels for that go-fast appearance; whilst the rear is finished off with a vertical tailgate, quad exhausts and boomerang-styled LED tail lights. The 1st and 2nd generation (WC34 & M35) Stagea were offered with a range of Skyline-based powertrains, including the RB-series in 2.0, 2.5T and 2.6-litre Twin Turbo (260RS) guises. Later on, the M35 era employed VQ-series engines in 2.5, 2.5T, 3.0 and 3.5-litre formats. Whilst those were good engines, today’s power game has moved on. Nissan’s 298 kW/399hp, 3.0-litre, twin-turbo V6 (VR30DDTT) would do just nicely here. Power would be sent to either the rear or all four wheels, via a 7-speed automatic transmission. Oddly, the most interesting variant could come in the form of Infiniti’s latest Variable Compression-Ratio engine. Code-named KR20, this 2.0-litre turbocharged unit debuted in the 2019 QX50. It combines decent power with diesel-like efficiency, making for a potent entry-level option. Many of the Stagea’s past competitors have been put out to pasture due to the obsession with SUV’s, low sales and ever-tightening emissions standards. Mid-size wagons like Subaru’s Legacy GT-B, Toyota Caldina GT-T and Mitsubishi Legnum VR-4 were a hoot to drive and are dearly missed. Today, the competition is rather varied and restrictive depending on where you live in the world. On the smaller side, a new Stagea would battle against VW’s Golf R wagon, Skoda Octavia vRS and Subaru Levorg. And if price weren’t an issue, you could add Audi’s RS4, Volvo V60 Polestar and AMG’s C63 wagon to the mix too. 0 Response to "Can A New Nissan Stagea Answer Our Skyline Wagon Prayers?"